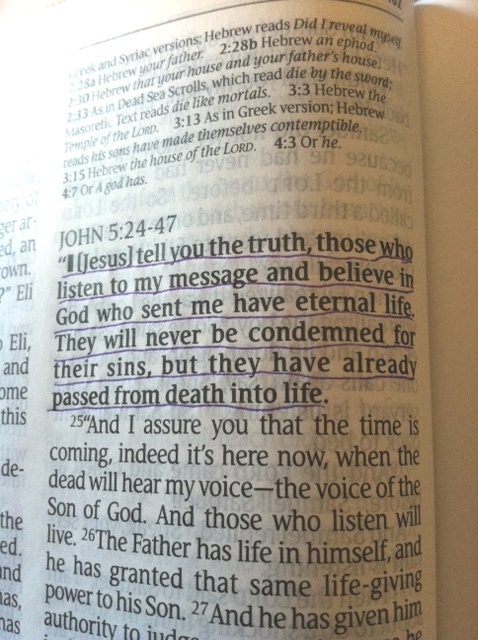 “Those who believe in God who sent me have eternal life.” Jesus tells us in John 5. And it’s already started – eternal life for those of us who believe. It just continues on from here. Our relationship with God never ends…..
Knowing how my story is going to end gives me a lot of comfort. No matter what happens here on earth, when it’s all done, I know where I’m going to be. Knowing how it all ends also gives me a lot of confidence – the beginning was good, this middle part is shaping up well and I know the ending is going to be fantastic! Eternal life with God! And it’s already started!